a claim with IBI and also with the airline you travelled on. One claim cancels the other. 1.11 “Cosmetic Damage”: Any damage which is non-structural, including but not limited to scratches, dents and marks, which does not affect the usage of the electronic equipment. 1.12 “Electronic Data”: Means facts, concepts and information converted to a form useable for communications, interpretation or processing by electronic and electromechanical data processing or electronically controlled equipment and includes programmes, software and other coded instructions for the processing and manipulation of data or the direction and manipulation of such equipment. 1.15 “Period of Insurance”: The period of time is the Outbound flight date and the Inbound flight date which is shown on your insurance invoice and that the policy will be in force for. Cover under this policy only applies when you are flying. 2.4 Only wheelchairs will be insured when carried inside a wheelchair case and bicycles inside a bicycle case & musical instruments inside their manufactured cases and insured in those 2 categories. These items cannot be insured as Basic, Intermediate or Superior. 2.5 PIR reports: Are only accepted when made with the Airline representatives at the Baggage Service/Arrival Service, located in the baggage area before leaving the Arrivals Lounge. The date, time and company stamp on the PIR will be proof that an agent has seen the damage at that moment. Any PIR reports made two hours or more after landing time will not be considered. Online PIR reports are not valid as it is considered that no airline personnel have physically seen the damage. 2.6 All sections of the Booking Form must be completed correctly. As this information is computer selected, any non completed section will mean that your booking is null and void. All Airline flight numbers must be added correctly (letters and numbers) and Locator numbers are not accepted as they are not recognised as a flight number. Any false flight details automatically void the cover. 4.1 At any time up to 72 (seventy two) hours before the start of the Service, should an order be cancelled in 72 hours or less then the Customer will forfeit the right of a refund. 4.2 If the customer cancels an Order, IBI will refund any amounts already paid by the Customer less the banking charges that the Customer may have paid by using a card as payment as in 4.1. and an administration fee of 4 (four) euros. 5.1 IBI may have to suspend or cancel an Order before the start date for the Services due to an Event Outside IBI ´s control or the unavailability of key personnel or key materials without which the IBI cannot provide the Services. IBI will promptly contact the Customer if this happens. 6.2 The period of the policy will be the same as the period of your travel as shown on your booking application- Outbound and Inbound flight dates, flight numbers and times- The insurance begins at the moment you receive your baggage tag receipt from the airline and terminates on collecting your luggage from the arrival belt. Should a flight be delayed, the time will not affect the policy and will still be valid until the aircraft lands at the airport you have mentioned as your destination. 6.3 Cancelled flights/Airline cease trading; Should your airline cancel your flight or cease trading then automatically the insurance will be terminated. Any claims for the non-usage of the insurance must be made to the airline in question. IBI is not responsible for the airlines acts. defective products under the Consumer Protection Act 1987 as amended from time to time. Includes all Cameras and photographic material, Video cameras, Radios, Televisions, Musical instruments, Ipads, Mobiles, MP3, Lap Tops, Electronic Agendas, PDA´s, Personal defense and / or Hunting weapons, Diving equipment and googles.The policy is not on a “new for old” basis.Up to 50% of the amount insured on the Superior cover Option A. All other Options and Upgrades,although covering higher content is still restricted to the % of Option A on electronic equipment. All items must always be inside the luggage insured. Independent components or parts or accessories are not included. All items must be adequately packaged for transport. There is no limit to the amount of electronic items carried in one bag and on one policy but the total that can be claimed is according to the amount you select. Therefore, on a Superior policy with a maximum of 1000 euros, only the % amount will be paid (according to the documents you provide) & irrespective of how many items you carry. worn that are inside the packaging checked in. 8.2 IBI does not exclude or limit in any way its liability for: death or personal injury caused by its negligence or the negligence of its employees, agents or subcontractors; fraud or fraudulent misrepresentation; breach of the terms implied by section 12 of the Sale of Goods Act 1979 (title and quiet possession) as amended from time to time; breach of the terms implied by sections 13, 14 and 15 of the Sale of Goods Act 1979 (description, satisfactory quality, fitness for purpose and samples) as amended from time to time; and defective products under the Consumer Protection Act 1987 as amended from time to time. Agreements have been made at an International level which make acceptable, certain claim exclusions to luggage carried by airlines worldwide. In the course of normal handling during travel, your luggage may show evidence of wear and tear. No liability for normal damage to checked luggage, such as: broken wheels or feet+ zips + lost pull straps + minor cuts and scratches + damage resulting from over-packing + damage to retractable luggage handles + fragile or perishable items damaged during transport + items unsuitably packed or unsuitable for transportation + damage resulting from Transportation Security Administration (TSA) inspections. Paxport customers ONLY: You will be covered by IBI for broken wheels and broken zips that make the closure of the suitcase impossible and the probability of loosing items a possibility. 13.1 Where the Customer is eligible to claim compensation during the period of insurance, the Customer must put forward their claim in writing with IBI within the designated timeframe as previously mentioned on the web page attaching the documents and photographs necessary. 13.2 Report the theft or loss of your mobile phone/ Ipad with Sim card within 12 hours of discovery of the occurence of the theft, to your airtime provider and instruct them to blacklist your handset. 13.3 Report the theft or loss of your electronic equipment to the police within 24 hours of the discovery and obtain a crime reference number & report in relation to the stolen items. Also a PIR report must be attained from the airline you have travelled with when the incident occured and must be obtained before leaving the Arrival Area of the airport. (see clause 2.5 for PIR explanation). 13.4 In the claim, the Customer must provide evidence of ownership as well as credible evidence that the content value matches the value declared upon commencing the Protection. 13.5 If the above terms are not adhered to, then your claim may not be paid or paid in full. 13.6 The Customer cannot raise a claim with IBI if coverage is refused or impossible, due to the Customer providing incorrect data on the booking form such as and not withstanding email and / or telephone details. 14.2 What information do we collect? We may collect and process the following data about you: Information that you provide by filling in forms on our Site. This includes information provided at the time of ordering one of our services, posting material on the Site or requesting Services.If you contact us, we may keep a record of that correspondence.We may also ask you to complete surveys that we use for research purposes, although you do not have to respond to them.Details of transactions you carry out through our Site and of the fulfilment of your orders. Details of your visits to and usage of our Site including, but not limited to, traffic data, location data, weblogs and other communication data, whether this is required for our own billing purposes or otherwise and the resources that you access.When booking services, you may be asked to provide us with personal information such as your name, billing address and delivery address details, your email address, and telephone number. We may also require your credit/debit card details, when you are placing an order. 14.3 IBI may collect information about your computer, including where available your IP address, operating system and browser type, for system administration and to report aggregate information to our advertisers. This is statistical data about our users’ browsing actions and patterns, and does not identify any individual. 14.5 Who might we disclose your information to? We may disclose your information to members of our group, our employees, our subsidiaries, affiliated companies and any successors in title to our business, for the purposes listed above. We will not disclose your information to any other third party except under the following limited circumstances:We may disclose your personal information to carefully selected service providers and agents who operate elements of our Site and process data on our behalf. These may include businesses who provide technology services such as hosting for our servers and email distribution and business partners who provide delivery fulfilment services.We may also use aggregate information and statistics for the purposes of monitoring Site usage in order to help us develop the Site and our services and may provide such aggregate information to third parties. These statistics will not include information that can be used to identify any individual.In assessing your request for Services, we may use your information for the purposes of the prevention and detection of fraud.We may also share your information with auditors or contractors or other advisers auditing, assisting with or advising on any of our business purposes.We do not hold your credit card details. Financial transactions take place directly and securely with our payment handling provider. If you believe your details are incorrect you can amend your details by contacting using the contact details in the Contact Us section of our Site. 14.6 Protecting your information: Our Site uses up-to-date industry procedures to protect your personal information. We have appropriate security measures in place in our physical facilities to protect against the loss, misuse or alteration of information that we may have. 14.7 Access to information: If you would like to know what information we hold about you, please send us an email to the contact details in the Call Centre section of our Site. Any such request may be subject to a fee of 10€ to meet our costs in providing you with details of the information we hold about you. 14.8 Third party services:We may from time to time make available through our Site certain services provided by third parties. To gain access to these services, you must deal with these third parties directly. Please note that these websites have their own privacy policies and that we do not accept any responsibility or liability for these policies. Please check these policies before you submit any personal data to these websites. 15.1 Any item loaned, hired or entrusted to you; loss damage or expense attributable to wilful misconduct of the Assured. 15.2 ordinary leakage, ordinary loss in weight or volume, or ordinary wear and tear of the subject-matter insured,loss damage or expense caused by insufficiency or unsuitability of packing or preparation of the subject-matter insured to withstand the ordinary incidents of the insured transit where such packing or preparation is carried out by the Assured or their employees or prior to the attachment of this insurance (for the purpose of these Clauses “packing” shall be deemed to include stowage in a container and “employees” shall not include independent contractors) loss damage or expense caused by inherent vice or nature of the subject-matter insured. 15.3 loss damage or expense caused by delay, even though the delay be caused by a risk insured against(except expenses payable under Clause 2 above) loss damage or expense caused by insolvency or financial default of the owners managers charterers or operators of the vessel/aircraft/train/ or any vehicle where, at the time of loading of the subject-matter insured on board, the Assured are aware, or in the ordinary course of business should be aware, that such insolvency or financial default could prevent the normal prosecution of the voyage. This exclusion shall not apply where the contract of insurance has been assigned to the party claiming hereunder who has bought or agreed to buy the subject-matter insured in good faith under a binding contract. 15.4 loss damage or expense directly or indirectly caused by or arising from the use of any weapon or device employing atomic or nuclear fission and/or fusion or other like reaction or radioactive force or matter. 15.5 In no case shall this insurance cover loss damage or expense arising fault of aircraft or unfitness of aircraft for the safe carriage of the subject-matter insured, where the Assured are privy to such unairworthiness or unfitness, at the time the subject-matter insured is loaded therein. 15.6 Unfitness of container or conveyance for the safe carriage of the subject-matter insured where loading therein or thereon is carried out prior to attachment of this insurance or by the Assured or their employees and they are privy to such unfitness at the time of travelling. 15.7 The Insurers waive any breach of the implied warranties of airworthiness of the aircraft or any other vehicle to carry the subject-matter insured to destination. 15.8 In no case shall this insurance cover loss, damage or expense caused by war, civil war revolution, rebellion, insurrection or civil strife arising therefrom, or any hostile act by or against a belligerent power ,capture, seizure arrest ,restraint or detainment (piracy excepted) and the consequences thereof or any attempt threat, derelict mines, torpedoes, bombs or other derelict weapons of war. 15.9 In no case shall this insurance cover loss, damage or expense caused by strikers, locked-out workmen, or persons taking part in labour disturbances, riots or civil commotions resulting from strikes, lock-outs, labour disturbances, riots or civil commotions caused by any act of terrorism being an act of any person acting on behalf of, or in connection with any organisation which carries out activities directed towards the overthrowing or influencing, by force or violence, of any government whether or not legally constituted caused by any person acting from a political, ideological or religious motive. 15.11 Chemical weapons, biochemistry, electromagnetic, cyber-attack..
15.12 Risk of information technology. 15.13 Recognition of electronic signature. 15.16 Exclusion and limitation of penalties. created jewellery in fine metals and precious metal. 15.17 Artwork, old or rare who´es value could be unusual. 15.18 Yarn lace, embroidery or fabrics with fine metals and legitimate silk lace. 15.25 Prepaid cards for Mobile phones. 15.26 Commercial samples unless authorised by IBI. 15.27 Perishable products – Meat,fish or fresh seafood either refrigerated or frozen. 15.28 All related to the press in all its variations. 15.29 Defected merchandise being sent back to origin. 15.30 Securities and security bonds also bank notes. 15.33 Theft/loss of money, checks, bills travel documents, souvenirs, coins, collections, professional tools as well as theft/loss or damage to luggage or personal objects in baggage that has not been checked in. 15.34 Corrosive + flammable + explosive + poisonous materials. a) Cleaning,inspection,routine servicing or maintenance. b) Loss or damage arising from a manufacturers defect or recall of the item. c) replacement of or adjustment to fittings, control knobs or buttons,batteries or aerials. d) any repairs carried out without prior authorisation from us. e) wear and tear to the item and/or gradual deterioration of performance. a) Any claim if the serial number,IMEI or simgate has been tampered with in anyway. b) Any claim made, or any event causing the need for a claim to be made which occured prior to the commencement date of the period contracted with IBI. c) Any claim for a mobile phone or Iphone which has not been used for its core purpose since the inception of your policy or since it was added to your policy as verfified by your airtime provider. d) Any claim arising outside of the flights stipulated on your booking. e) Any repair or replacement if a Sim card registered to you was not in the insured mobile phone orelectronic equipment at the time of the incident. f) Any expense incurred arising from not being able to use the electronic equipment or any costs other than the repair or replacement costs of the electronic equipment. 15.37 Accidental damage,theft,breakdown or liquid damage to accessories of any kind. 15.38 Any breakdown arising from the failure of any electrical or computer equipment, software, micro-controller, microchip, Accessories or associated equipment to correctly recognise and process any calendar date or time. 15.39 Reconnection costs or subscription fees of any kind. 15.40 Costs arising from the replacement of any personalised ring tones, graphics, downloaded material or software. 15.41 Any costs for loss or damage to information or data or software contained in or stored on the electronic equipment whether arising as a result of a claim paid by this insurance or otherwise. 15.42 Any other costs that arise directly or indirectly from the event which led to your claim unless specifically stated in this policy. 15.43 Liability of whatsoever nature arising from ownership or use of the electronic equipment, including any illness or injury resulting from it. 15.44 Value Added Tax (VAT) where you are registered with HM Revenue & Customs for VAT. 15.47 Claims arising from damage or destruction directly occasioned by pressure waves caused by aircraft or other aerial devices travelling at sonic or supersonic speeds. 15.48 Claims for any electronic equipment used in connection with your profession or trade. 15.49 Any electronic equipment more specifically insured elsewhere. 15.50 Any claim if you are travelling to a country where the Foreign and Commonwealth Office (FCO) or any other countries Foreign Department have advised against. 15.51 This policy does not insure loss, damage, destruction, distortion, erasure, corruption or alteration of electronic data from any cause whatsoever (including but not limited to computer virus) or loss of use, reduction in functionality, cost, expense of whatsoever nature resulting therefrom, regardless of any other cause or event contributing concurrently or in any other sequence to the loss. 15.52 As per clause 12. (In the course of normal handling during travel, your luggage may show evidence of wear and tear. No liability for normal damage to checked luggage, such as: trolley wheels+zips+lost pull straps + minor cuts and scratches + damage resulting from over-packing + damage to retractable luggage handles + fragile or perishable items damaged during transport + items unsuitably packed or unsuitable for transportation + damage resulting from Transportation Security Administration (TSA) inspections.) will be covered by IBI. As soon as you check your bag in with your airline & receive your baggage receipt tag, your luggage is under the protection of our comprehensive travel insurance. You can relax and enjoy your journey, knowing that your luggage is safe and sound. When does my insurance coverage end? When you collect your bags from the luggage belt at the arrivals section of your destination airport, your items are under your own care once more. How should I make a report to you ? Should you notice any damage-loss-theft suffered by your luggage or belongings, as long as it falls within our terms, you are to immediately report it to our customer care. You can quickly get in touch with our call centres, using any of the numbers shown below. Your name, address, telephone number and booking confirmation number. A detailed description of your item(s) along with any damage caused. Report the theft or loss of your mobile phone/ Ipad or any other equipment using a Sim card within 12 hours of discovery of the occurence of the theft to your airtime provider and instruct them to blacklist your handset. Report the theft or loss of your items to the police within 24 hours of the discovery and obtain a crime reference number & report in relation to the stolen items. Obtain a PIR report from the airline you have travelled with when the incident occured and must be obtained before leaving the Arrival Area of the airport. Must contain date,time & airline company/agents stamp. Online PIR reports are not accepted. An approximation of the monetary value of your item(s) and how much you think approximately the repair of the damage caused may cost. The boarding card, baggage receipt tag & airline booking confirmation. What is a Property Irregularity Report (PIR)? Should your luggage fail to arrive at your destination or it has arrived damaged and/or missing items, your first action should be to head straight for the airline’s helpdesk. There, you will be assisted in filling out a Property Irregularity Report (PIR). This will often include personal as well as flight information, a detailed description of your luggage along with any distinguishing features that it might possess. The completed PIR report must contain the date,time and stamp of the airline/handling company. How long should I wait before reporting an issue to you? Getting in touch with our dedicated customer support is only a matter of picking up your phone and calling the centre closest to your current location. Please note that as per the time limits on our insurance policy, delaying your call is ill advised. Should an issue arise, do not hesitate to call us right away! Please note that all communications with our Call Centres have to be conducted in English. You have the option of entering into a contract to take out a Basic cover with IBI, to insure the item whilst you are travelling. IBI will charge you a fee for providing this service. Wheelchairs, Bicycles & Sports equipment have their own insurance section, therefore you cannot contract a Basic cover for these items. The starting fee for the Basic Protection is 12 euros. This insures contents up to 300 euros. On selecting this coverage you declare that you agree that the current and credible value of the contents is the value insured under the Basic Protection.The maximum coverable amount is limited to the amount shown on the cover of your choice per total travel. Sentimental values cannot be taken into account. If the nature of the contents are such that the Customs refuse to release the item, IBI deems this as out of its control and therefore the Basic Protection does not cover if such a scenario arises during travel. You should then take up the concern directly with Customs. The coverage is for all items inside a protective bag / box up to the value contracted with the Basic protection. On making a booking with IBI you acknowledge that you have read and agree to the Terms & Conditions. As soon as you check your bag in with your airline & receive your baggage receipt tag, your luggage is under the protection of our comprehensive travel insurance. You have the option of entering into a contract to take out an Intermediate cover with IBI, to insure the item whilst you are travelling. IBI will charge you a fee for providing this service. Wheelchairs, Bicycles & Sports equipment have their own insurance section, therefore you cannot contract an Intermediate cover for these items. Option A: The starting fee for the Intermediate cover is 15 euros.This insures contents up to 500 euros. Option B: This insures 1 euro – 1000 euros and costs 30 euros. Option C: This insures 1 euro – 2000 euros and costs 60 euros. On selecting this coverage you declare that you agree that the current and credible value of the contents is the value insured under the Intermediate Protection. The maximum coverable amount is limited to the amount shown on the cover of your choice per total travel. Sentimental values cannot be taken into account. If the nature of the contents are such that the Customs refuse to release the item, IBI deems this as out of its control and therefore the Intermediate Protection does not cover if such a scenario arises during travel. You should then take up the concern directly with Customs. The coverage is for all items inside a protective bag / box up to the value contracted with the Intermediate protection. On making a booking with IBI you acknowledge that you have read and agree to the Terms & Conditions. You have the option of entering into a contract to take out a Superior cover with IBI, to insure the item whilst you are travelling. IBI will charge you a fee for providing this service. Wheelchairs, Bicycles & Sports equipment have their own insurance section, therefore you cannot contract a Superior cover for these items. Option A: The starting fee for the Superior cover is 40 euros.This insures contents up to 1000 euros. Option B: This insures 1 euro – 2000 euros and costs 80 euros. On selecting this coverage you declare that you agree that the current and credible value of the contents is the value insured under the Superior Protection. The maximum coverable amount is limited to the amount shown on the cover of your choice per total travel. Sentimental values cannot be taken into account. If the nature of the contents are such that the Customs refuse to release the item, IBI deems this as out of its control and therefore the Superior Protection does not cover if such a scenario arises during travel. You should then take up the concern directly with Customs. The coverage is for all items inside a protective bag / box up to the value contracted with the Superior protection. On making a booking with IBI you acknowledge that you have read and agree to the Terms & Conditions. Includes all Cameras and photographic material, Video cameras, Radios, Televisions, Musical instruments, Ipads, Mobiles, MP3, Lap Tops, Electronic Agendas, PDA´s, Personal defense and / or Hunting weapons, Diving equipment and goggles.The policy is not on a “new for old” basis and is up to 50% of the amount insured on the Superior cover Option A. All other Options and Upgrades,although covering higher content is still restricted to the % of Option A on electronic equipment. You have the option of entering into a contract to take out Sports & Musical equipment protection with IBI, to insure the item while in transit. IBI will charge you a fee for providing this service.You must ensure to comply with the legal duty of disclosure of all material facts relating to the risk as well as the accuracy and completeness of the information provided if requested by Airports, Airlines, Customs Authorities etc. Failure to do so could invalidate the Sports & Musical equipment protection.Wheelchairs, Bicycles ,Sports & Musical equipment have their own insurance section, therefore you cannot contract a Basic insurance for these items. Option A: The starting fee for the Sports & Musical Equipment cover is 30 euros. This insures content up to 2000 euros. Option B: This insures 1 euro – 5000 euros and costs 75 euros. Option C: This insures 1 euro – 10000 euros and costs 150 euros. On selecting this coverage you declare that you agree that the current and credible value of the contents is the value insured under the Sports & Musical equipment protection. If the nature of the contents are such that the Customs refuse to release the item, IBI deems this as out of its control and therefore the Sports & Musical equipment Protection does not cover if such a scenario arises during travel. You should then take up the concern directly with Customs. The coverage is for all items inside a protective bag / box up to the value contracted with the Sports & Musical equipment protection. On making a booking with IBI you acknowledge that you have read and agree to the Terms & Conditions. You have the option of entering into a contract to take out WHEELCHAIR Protection with IBI, to insure the item while in transit. IBI will charge you a fee for providing this service.You must ensure to comply with the legal duty of disclosure of all material facts relating to the risk as well as the accuracy and completeness of the information provided if requested by Airports, Airlines, Customs Authorities etc. Failure to do so could invalidate the WHEELCHAIR Protection.Wheelchairs, Bicycles & Sports equipment have their own insurance section, therefore you cannot contract a Basic insurance for these items. Option A: The starting fee for the Wheelchair cover is 30 euros. This insures content up to 2000 euros. Option D: This insures 1 euro – 15000 euros and costs 225 euros. On selecting this coverage you declare that you agree that the current and credible value of the contents is the value insured under the WHEELCHAIR Protection. If the nature of the contents are such that the Customs refuse to release the item, IBI deems this as out of its control and therefore the WHEELCHAIR Protection does not cover if such a scenario arises during travel. You should then take up the concern directly with Customs. The coverage is for all items inside a protective bag / box up to the value contracted with the WHEELCHAIR protection. On making a booking with IBI you acknowledge that you have read and agree to the Terms & Conditions. a) change or remove (temporarily or permanently) the Website or any part of it without notice and you confirm that IBI shall not be liable to you for any such change or removal. b) change, remove, or discontinue any software, service, or promotion (including but not limited to any previsions, parts thereof, licensing, pricing) as advertised on this website at any time without notice and you confirm that IBI shall not be liable for any such change or removal. c) change or discontinue any promotional discount vouchers or coupon codes at anytime with notice and you confirm that IBI shall not be liable for any such change or removal. d) change this Agreement at any time and your continued use of the Website following any changes shall be deemed to be your acceptance of such change. The Intellectual Property Rights in this website and the materials on or accessible via it belong to ‘IBI Ltd.’ or its licensors. This website and the materials on or accessible via it and the Intellectual Property Rights therein may not be copied, distributed, published, licensed, used or reproduced in any way (save to the extent strictly necessary for, and for the purposes of, accessing and using this website). ‘IBI’ and the IBI Logo are trade marks which belong to ‘ACS Ltd.’ and they may not be used, copied or reproduced in any way without written consent from ‘ACS Ltd.’. To the extent permitted by law, IBI will not be liable for any indirect or consequential loss or damage whatever (including without limitation loss of business, opportunity, data, profits) arising out of or in connection with the use of the Website. IBI makes no warranty that the functionality of the Website will be uninterrupted or error free, that defects will be corrected or that the Website or the server that makes it available are free of viruses or anything else which may be harmful or destructive. Nothing in these Terms and Conditions shall be construed so as to exclude or limit the liability of IBI for death or personal injury as a result of the negligence of IBI or that of its employees or agents. You agree to indemnify and hold IBI and its employees and agents harmless from and against all liabilities, legal fees, damages, losses, costs and other expenses in relation to any claims or actions brought against IBI arising out of any breach by you of these Terms and Conditions or other liabilities arising out of your use of this Website. This Agreement and all matters arising from it are governed by and construed in accordance with the laws of Spain whose courts shall have exclusive jurisdiction over all disputes arising in connection with this Agreement and the place of performance of this Agreement is agreed by you to be Spain. IBI reserves the right to add, delete, or modify any provision this Agreement at any time without notice. Passengers with electronic devices carried in the holds of airlines following the recent ban on carrying them as hand luggage, may not be fully insured for the contents of their luggage. Most passengers don’t realise they have limited insurance cover for their possessions including their prized electronic devices. Most travel insurance policies will not cover electronic items that can be worth as much as £500 – £1000, especially when checked in as hold luggage. Rather than leave your prized iPad, laptop, DVD player or handheld gaming console at home, there is another solution according to Linda Reyes, CEO of International Baggage Insurance (IBI). You Need IBI on Your Case! Electronic devices bigger than a smartphone are now banned from hand luggage on flights into the UK and USA when you fly from certain countries. They now have to be carried in the hold and most passengers don’t realise they have limited insurance cover for their possessions including their prized electronic devices. IBI has launched a new insurance scheme for travellers that can pay out up to €1,000 for possessions including electronic items and has the option to be topped up at various levels to fully cover and insure what they take on holiday or business with them. Policies start at just €12 for the Basic cover that still offers €300 insurance through to the Superior product that offers €1,000 cover for just €20. This is exactly what travellers now need under the new restrictive regulations according to Linda Reyes. There are an estimated 18 million travel insurance policies sold every year and a staggering 50,000 claims are rejected leaving holidaymakers and business travelers without adequate or any cover at all for their luggage and possessions when a mishap occurs.Thousands of holidaymakers travelling this summer will only find out they have a problem when they try and claim for lost or damaged possessions in their luggage this is because no one is telling them they have inadequate luggage insurance. The majority of travellers will not be adequately covered. 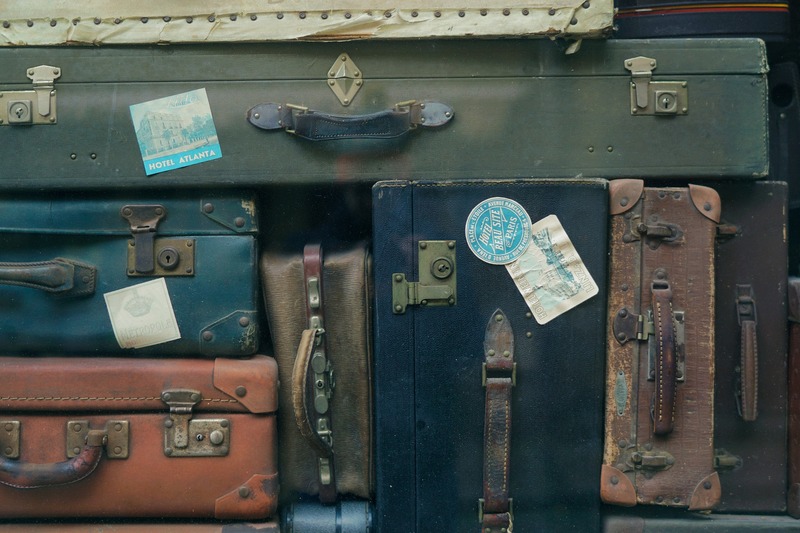 Linda Reyes, CEO of International Baggage Insurance (IBI), warns that the real shock for many holidaymakers comes when they realise the maximum cover for their possessions will hardly pay for a new case, let alone its contents. The limits of most travel insurance policies apply to anything in the luggage; this includes your clothes, shoes, accessories and even the case itself. The average travel policy imposes single item limits on baggage contents that typically don’t exceed 350 euros, so thousands of travellers could find themselves seriously out of pocket. With weight limits and size restrictions imposed by airlines on hand luggage many travellers now will put one or two of their electronic devices into their luggage. This will compound the problem as these electronic items alone can be worth as much as 500 – 1000 euros this is without putting a value onto the contents on them.Some cheaper insurance policies could even make it worthless to make a claim due to the high excess charges and miniscule payouts. Linda Reyes agrees with industry experts that reading and understanding travel insurance details are as important as planning the actual trip. IBI exhibited for the first time at this huge 3 day Travel Festival with 6 events happening at once and all in the same place. Over 4000 people had the opportunity to visit the IBI stand and the CEO, Linda Reyes gave a speech on the 2nd day about the product of IBI. IBI attended the show at the Ritz – Carlton DIFC in Dubai on 28th November 2017 as an exhibitor. Meeting with over 400 aviation related people and signing contracts with airlines and tour operators to use IBI as their insurance company of preference for their passengers. Very succesful event.